This cozy apartment is surrounded by lovely rosehip bushes and is located at the dunes and the beach at Bergen aan Zee. The quaint and cozy apartment is located right by the dunes and is surrounded by large rosehip bushes. The apartment is attached to the house of the owner. You'll have your own entrance and terrace, giving you plenty of privacy. The single story home is compact and decorated in a typical beach style. 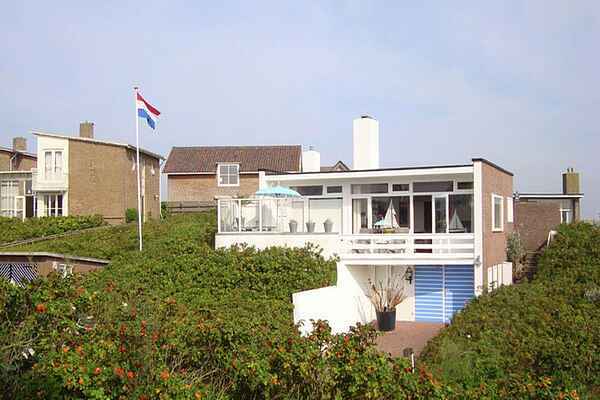 You will be in a gorgeous environment, directly on the Dutch coast. From the apartment you can almost walk directly onto the dunes. This splendid nature lends itself perfectly to glorious walks. On the other side of the dunes, not more than 150 m away, you have the long sandy beach of Bergen aan Zee on the North Sea coast. You don't have to go far for your daily shopping. The quaint center with lovely stores and restaurants is only 200 meters away. Yoga enthusiasts can practice at the SB Noord Yoga pavilion on the beach, a lovely way to start the day.